“ Members of Congress should find this Editorial from today’s Irish News of Belfast helpful. Disrespect for Catholicism, disrespect for the Irish language, and disrespect for the Irish identity of Catholics in the artificial State of Northern Ireland have always been the defining characteristic of this Protestant state for a Protestant people. The first Prime Minister of Northern Ireland, James Craig, in defending Stormont in 1934 declared:‘All I boast of is that we are a Protestant Parliament and a Protestant State.’ Imagine, the Speaker of the U.S.House of Representatives declaring he was proud that Congress was a white Congress for a white people! The Good Friday Agreement, which was signed 20 years ago tomorrow, was essentially a complex series of measured compromises which allowed two previously hostile traditions, nationalism, and unionism, to work together for the benefit of all sections of our society. Unionists were able to claim that it maintained the partition of Ireland while nationalists were entitled to simultaneously conclude that the border no longer had any meaning in a practical sense. The peace process meant that nationalists had to accept the institutions of the northern state, and specifically to endorse the new policing structures, while unionists needed to come to terms with the reality of power sharing at all levels. Discredited paramilitary groups had to eventually decommission their weapons, and remove themselves from the stage, knowing that the release of prisoners from both sides of the divide had already been completed. No-one ever suggested that all this, together with the other provisions involved, provided a perfect set of solutions but it allowed our new political structures, with all their uncertainties and tensions, the opportunity to prove their worth over a prolonged period while allowing for unmistakable demographic trends. It was a massive achievement by any standards, particularly after the trauma of the previous three decades when savage violence was inflicted on all sides and a breakthrough which was recognized internationally through the Nobel Peace Prize which deservedly went to David Trimble and the key architect of the entire initiative, John Hume. While substantial progress went on to be made in some areas, the Stormont administration, whether it was under the initial control of the Ulster Unionists and the SDLP, or later dominated by the DUP and Sinn Féin, suffered regular suspensions and had uncertain foundations. The negotiations at St Andrews in 2006 were supposed to take us into a new era and did allow the restoration of devolution for almost a decade, but in retrospect involved further phases of what became known as constructive ambiguity and papered over some deep cracks. Although a list of controversies, culminating in the Renewable Heat Incentive scandal, which is the subject of a continuing public inquiry, ultimately brought everything crashing down just over a year ago, the reality is that relationships in the executive had become toxic. 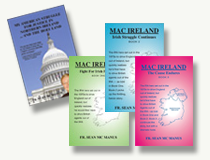 Nationalists and unionists will inevitably point the finger of responsibility at each other, but if a relatively straightforward attempt to introduce Irish language legislation, along with the lines of acts in place in Scotland and Wales for many years, provokes a meltdown, we are plainly in dangerous territory. In the middle of all this upheaval, we were hit by what had come to be widely regarded as a Brexit catastrophe, pushing the Irish border back to the top of the political agenda not only in Dublin and London but across Europe. The disastrous British withdrawal from the European Union was firmly rejected by voters in Northern Ireland and Scotland but passed through a slim majority in bitterly contested circumstances in England and Wales, with the final break-up of the UK openly predicted as a result. While unionism is sending out confused signals, with DUP leader Arlene Foster suggesting she might even move to another jurisdiction after losing a Border poll on an unspecified date, nationalists, who were prepared to put their constitutional ambitions on hold, have been forced to review their position and found that they have suddenly gained unprecedented support across Ireland and the rest of the EU. The Good Friday Agreement deserves to be regarded as an historic breakthrough, and the principles at its heart are still compelling, but the failure to fully implement both its letter and its spirit will take us in different directions.